TCM got lazy and selected scenes of Durbin as a beautiful woman in unsuccessful films (at least four scenes from Can't Help Singing) while ignoring her as an adolescent in successful films. Only two hits were featured in the tribute It Started with Eve and It's a Date. Universal is the stumbling block. But TCM got its logo on her DVDs ?? TCM's budget is the stumbling block. I'm sure NBC/Universal is willing to rent them out to TCM for a price. 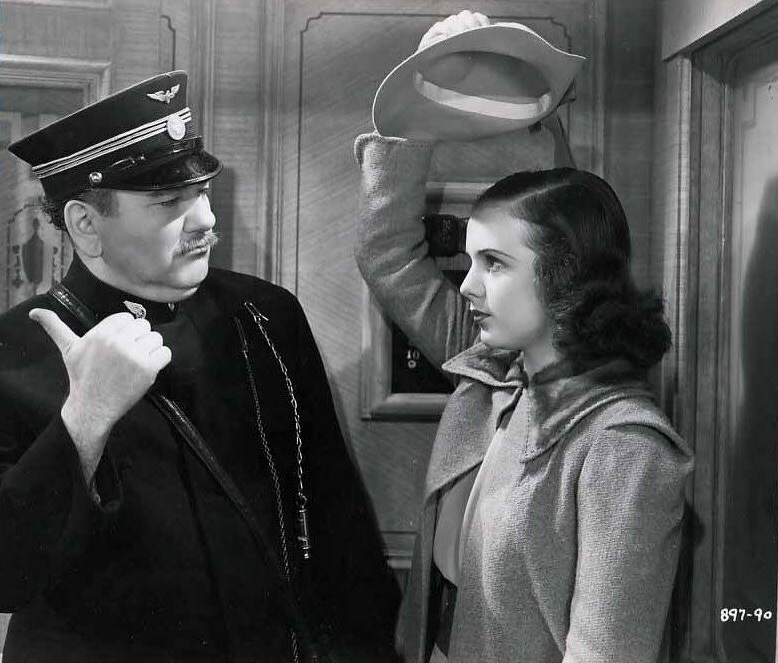 If Deanna Durbin had made half her films at MGM, Warners or RKO (titles in the Turner library) then it would much easier for TCM to give her a day in August. They could use all the titles they have, then put two or three Universal films into the primetime slots, with one of them maybe being a premiere. But they are not going to do a whole day of Universal films, it would be too cost prohibitive (meaning there could be no other premieres during other days in August for other stars). And Deanna made all her movies at Universal. When she died, there was no 24-hour memorial for her on TCM. They just aired one of her Universal films (IT STARTED WITH EVE) at the end of the year, grouped in with tributes for other stars who had passed away. So while it would be nice for Deanna to get a day for Summer Under the Stars, the reality is that it will never happen on TCM. ...and I still say all RIP threads should be placed in a 'section' of honor where respects can be paid and recollections shared. Death notices ought not be bandied about in the common byways where folks discuss 'great undershirt scenes in movies'....its so crass! There's a TCM Memorials sub-forum where people do post articles (mostly obits) and other items. You can send a private message to the moderator to request they move the threads over there. I think that's a worthwhile idea, though the people who started those threads might get upset if they suddenly cannot locate them. It would also be nice to have an RIP thread for posters. Now I'm talking about truly fatal mortalities, and not just being brain dead. Oops, that might be something you would wish I posted in the more "crass" areas, right, Sgt. Markoff? Mea culpa...and please excuse my sardonic comments. That's too bad. TCM could help introducing her to a new audience. I first became aware of Deanna in 2000 (from the Deanna Durbin Collection issued in the late 1990's on VHS). I read somewhere that her films were banned in Nazi Germany. I don't know if it was in the 1930's or during World War II when her films had a patriotic theme such as Nice Girl? (1941) and especially Hers to Hold (1943). Or maybe Hitler just didn't like this cute kid! As someone else suggested earlier in the thread, Deanna's not the only Universal star whose work seldom appears on TCM. Other Universal notables include Yvonne De Carlo, Audie Murphy, Jeff Chandler, Gloria Jean, Abbott & Costello, Julie Adams, Donald O'Connor, Tony Curtis and Rock Hudson. Re: Hudson...TCM tends to show the three comedies he made with Doris Day, and maybe one or two of the melodramas he made with director Douglas Dirk. However, the reality is that Rock Hudson was under contract at Universal from 1949 to 1976, and he made dozens of hit films for the studio during that long period of time. Eighty-five percent of these films never air on TCM. I would love to see Deanna selected as SOTM or a SUTS day, as well. I do like her grown up films, though. You know, Universal has even blocked many of her film clips from YouTube! 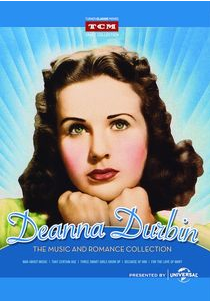 Awhile back I got the TCM Deanna Durbin Sweetheart Collection at a used movie store. It features: Something in the Wind, Can't Help Singing, First Love, It Started With Eve, Three Smart Girls, and Lady on a Train. I picked this up for 'Train,' which I really enjoyed. I haven't seen the other films in the collection. I bought the same set, from Amazon, when I decided to review several of her films one month in the Essentials thread. They're all enjoyable. FIRST LOVE is my favorite, and I am also partial to CAN'T HELP SINGING since it's in Technicolor (her only color film). SOMETHING IN THE WIND was made near the end of her career at Universal. You can see they were running out of ideas for her, but the musical selections are still good and she gets to costar with young Donald O'Connor. Some of my favorite scenes from It Started with Eve (1941). Winston Churchill was a big fan of Deanna Durbin. So he must have gotten a big kick seeing the butler with a cigar looking a bit like him! Thanks for posting and sharing this. 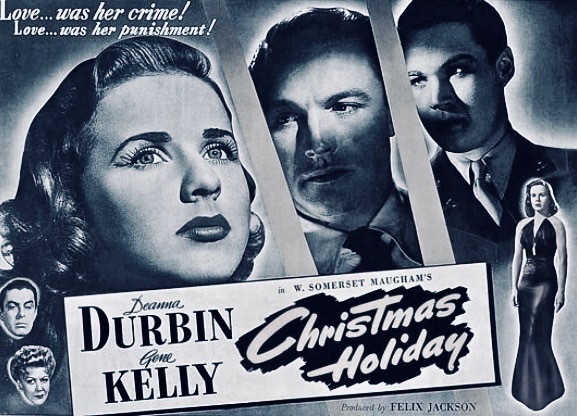 I remember watching "Christmas Holiday" on YouTube back in December based on comments from one of our fellow posters in another Deanna Durbin thread. The picture came out in 1944 (a year before "Lady On A Train") and is set in New Orleans. It co-starred Gene Kelly, Gale Sondergaard, and Gladys George, and I found it to be a pretty good movie. It has never aired on TCM. Glad you mentioned this one. It's a favorite. TCM really does need to air it. It was supposed to be on Noir Alley over the holidays but it was pulled! Maybe it will be rescheduled.